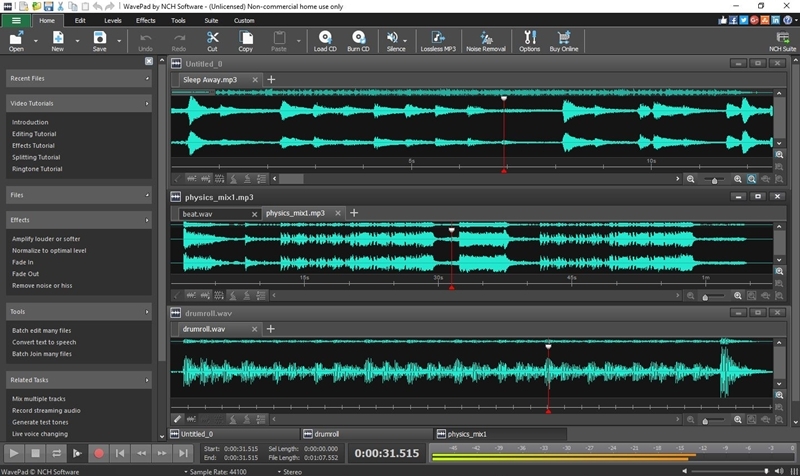 This audio editing software delivers power and simplicity in one. 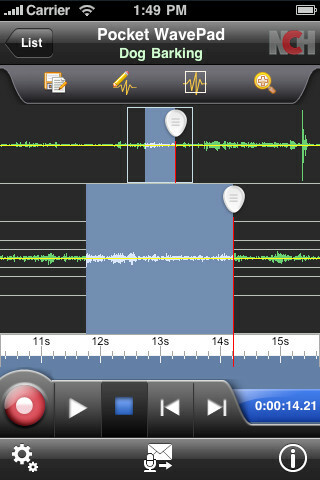 WavePad music, mp3 and other audio editing software includes a recorder that supports autotrim and voice activated recording. Tools include spectral analysis (FFT), tone generation and speech synthesis. WavePad's easy to use interface will get you started running. Player includes Scrub/Cue control for precise editing. 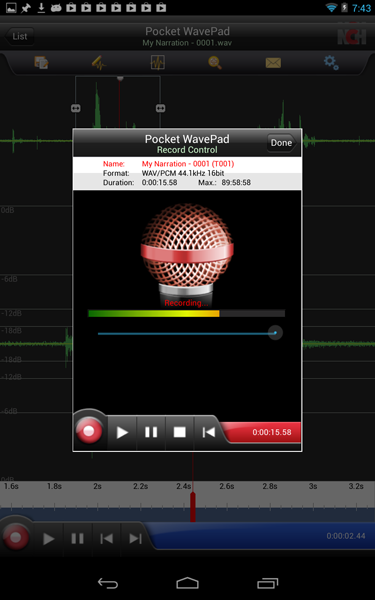 WavePad includes a sound recorder that supports autotrim and voice activated recording. 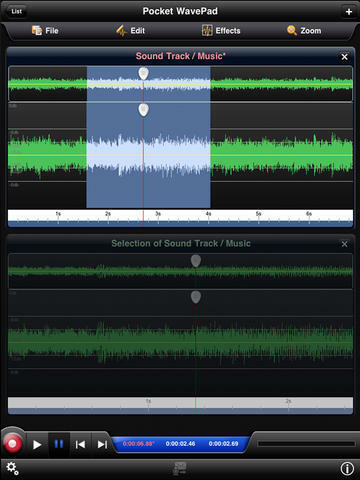 Sound Editing functions include Cut, Copy, Paste, Trim, Mix, Loops and more. Audio Effects include Amplify, Normalize, Equalizer, Envelope, Reverb, Echo, Reverse, Noise Reduction, Sample Rate Conversion and more. 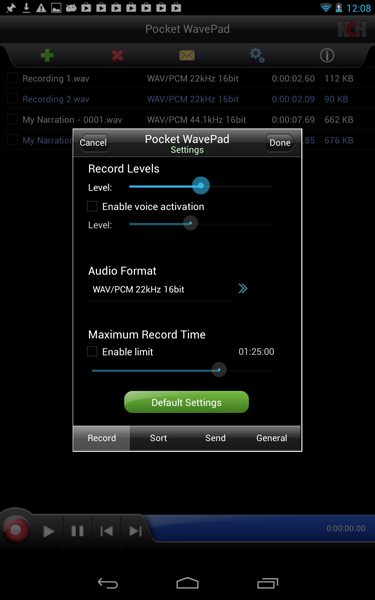 The full Sound Effects Library comes with WavePad Master's edition and gives you access to 800 SFX files and 200 music files that you can add to ringtones, podcasts, movie soundtracks, and more. 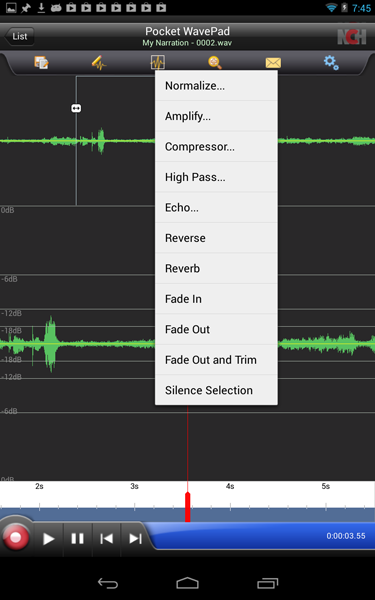 View the full sound effects library and preview sound by selecting 'Sound Library' under Tools. Tools include tone generation, speech synthesis and spectral analysis (FFT). FFT is designed to illustrate the characteristics of audio at one point in time. 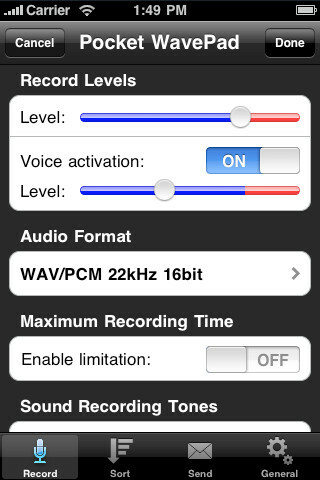 Audio restoration features include noise reduction and click pop removal. WavePad allows you to save your files in many ways in a variety of different formats. You can choose to save your files to a CD or to your computer. You can email your files or even upload them directly to the cloud. 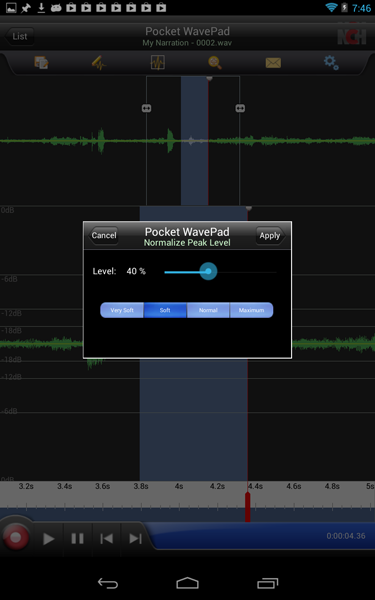 WavePad sound editor is very easy to use. 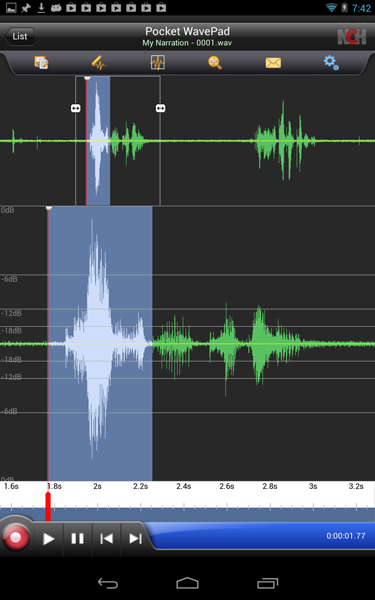 Simply import your audio file and you are ready to begin editing. Or, for recording your own audio tracks, simply click the 'New' button on the toolbar and then hit the 'Record' button to begin recording. 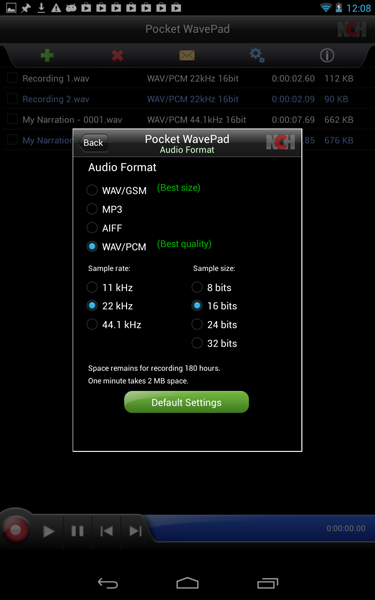 You may also wish to upgrade to the WavePad Masters Edition which offers more advanced features. 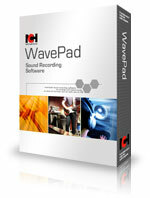 Download the WavePad Masters Edition trial here for free.